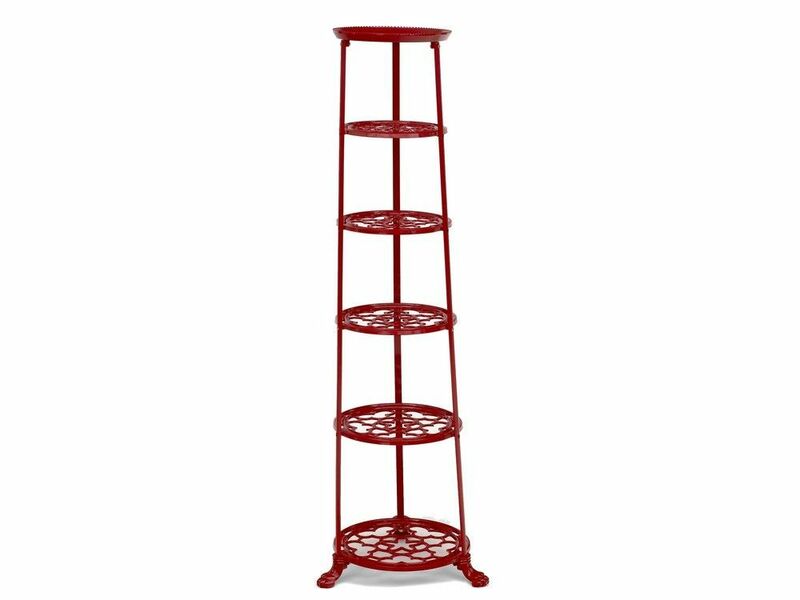 This 6 tier pan stand comes in a bright chilli red colour to add a dash of stylish storage to your kitchen. The shelves are cast aluminium, which gives a really lovely crisp detail, and the legs are made of steel with sturdy cast iron feet making sure it won't topple over. The bright colour makes this an appealing kitchen feature and it's made in the UK, so you know it's a quality pan pyramid that's built to last. Easy to self-assemble, our metal pan stands are available in various colours, both in 6 or 4 tier versions.